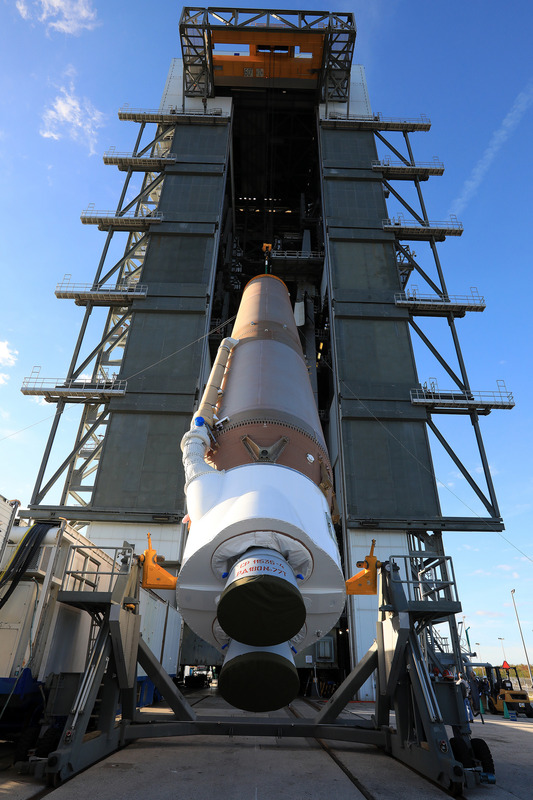 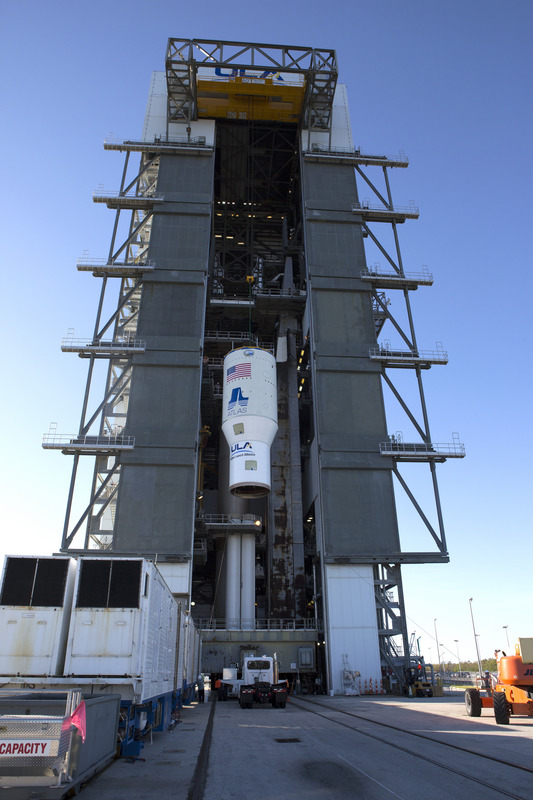 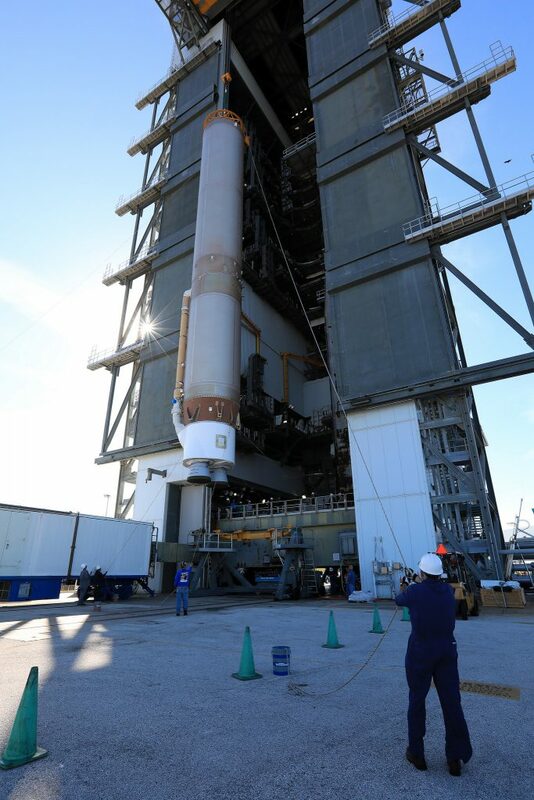 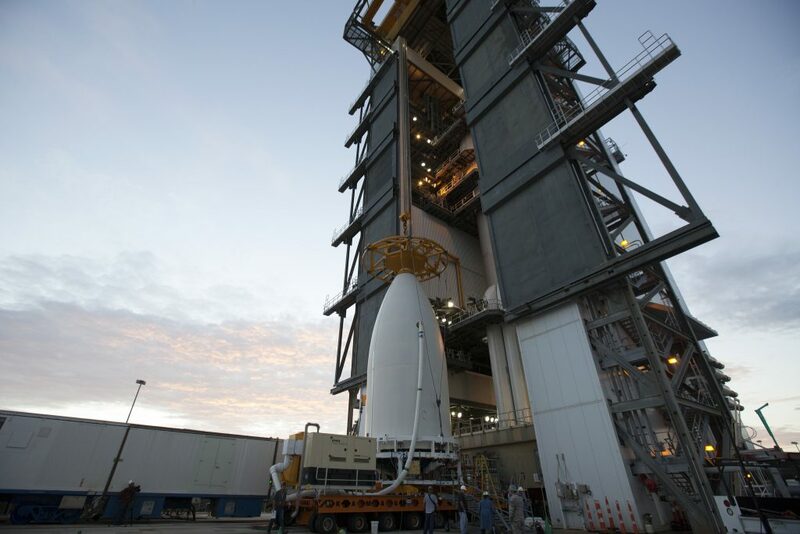 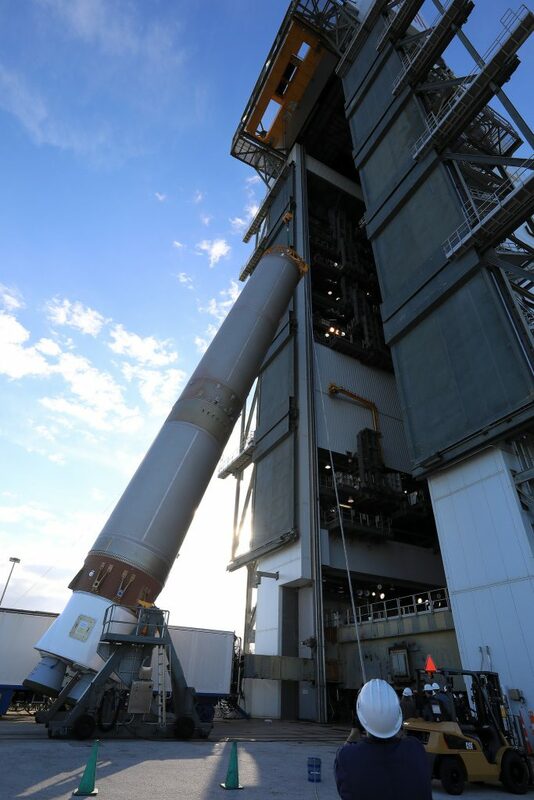 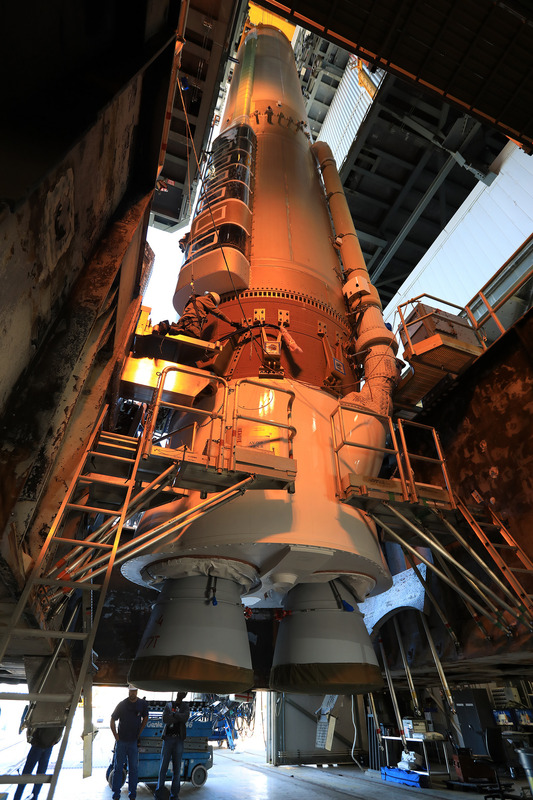 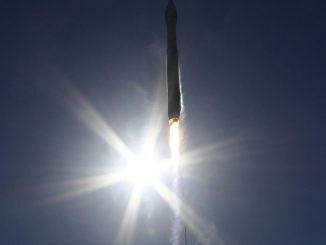 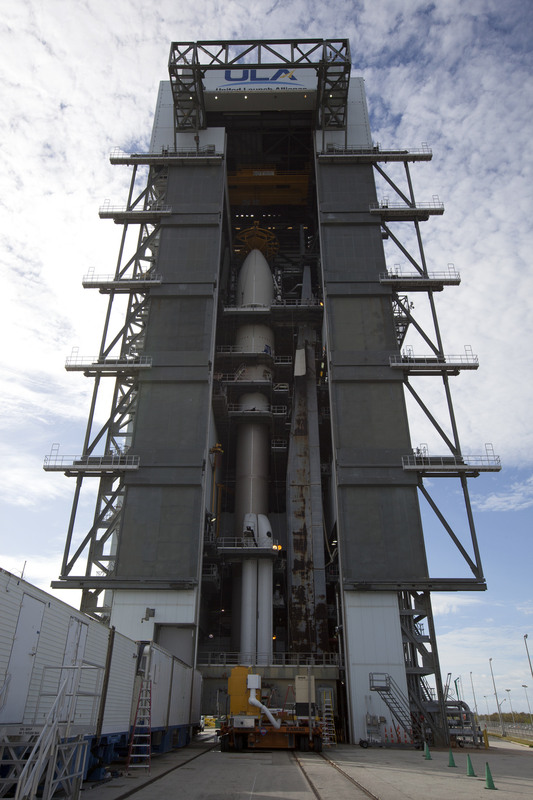 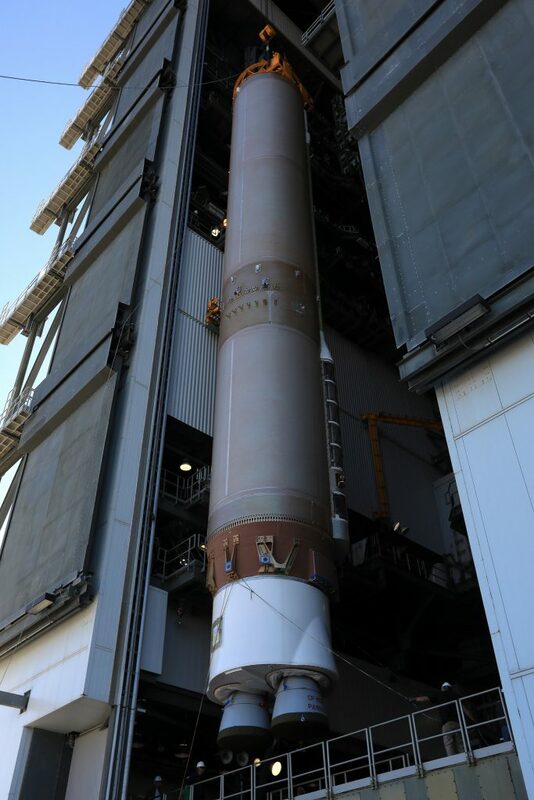 CAPE CANAVERAL — In the span of two weeks, United Launch Alliance technicians performed the basic buildup of the Atlas 5 rocket and then mated the advanced GOES-R weather satellite that will be hauled into space on Saturday. 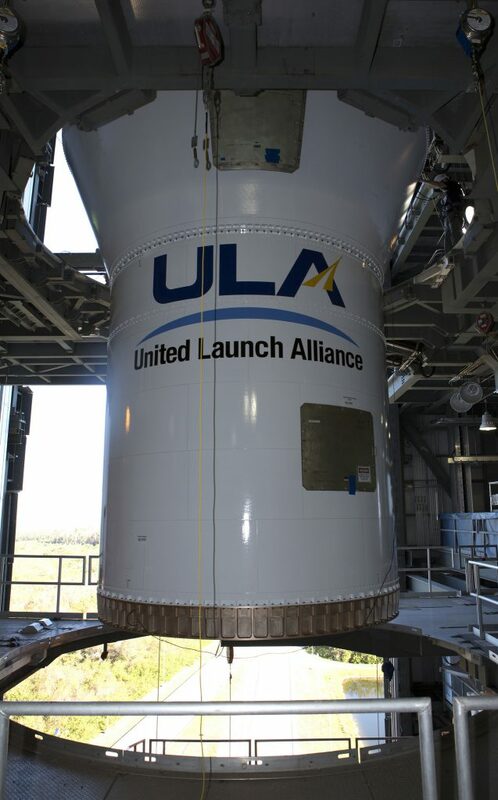 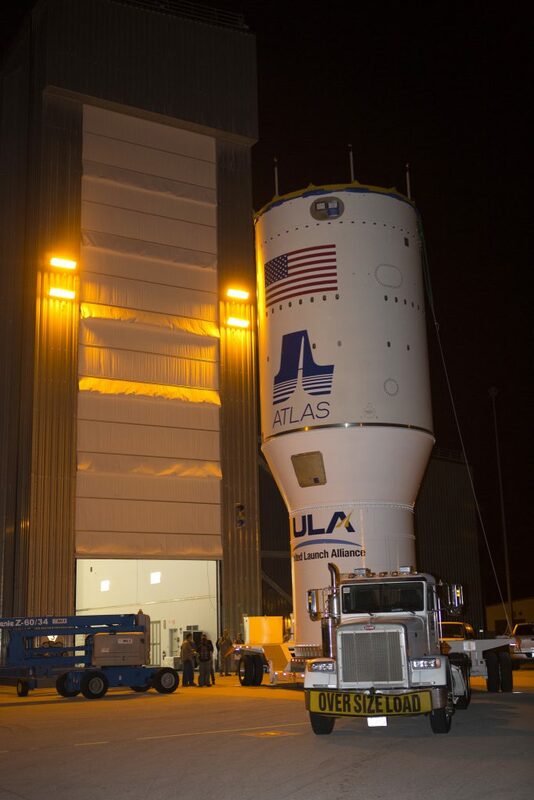 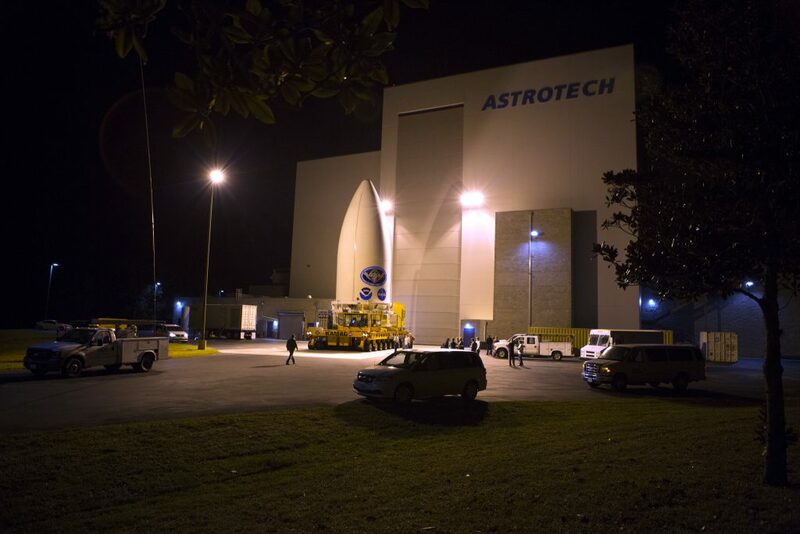 On Monday, Oct. 24, the Common Core Booster first stage was brought from the Atlas Spaceflight Operations Center to the Vertical Integration Facility next to Complex 41 and lifted aboard the mobile launch platform. 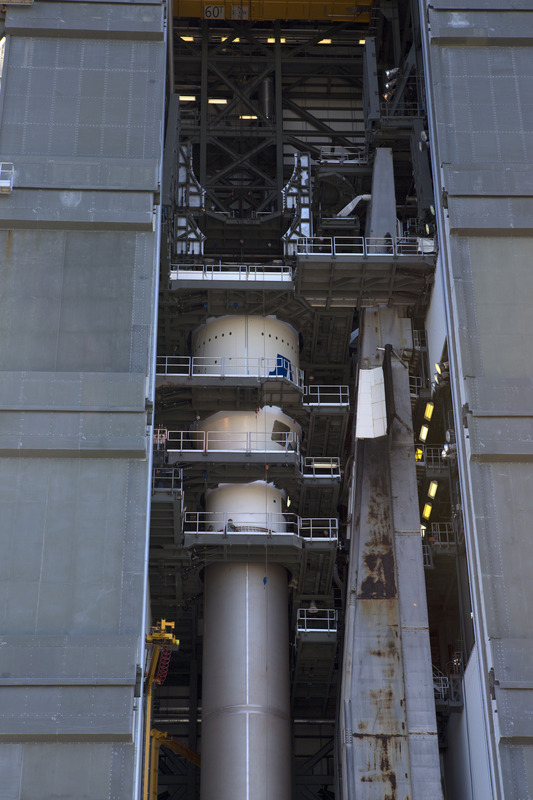 Throughout the week, the four Aerojet Rocketdyne solid rocket boosters were systematically attached to brackets on the first stage. 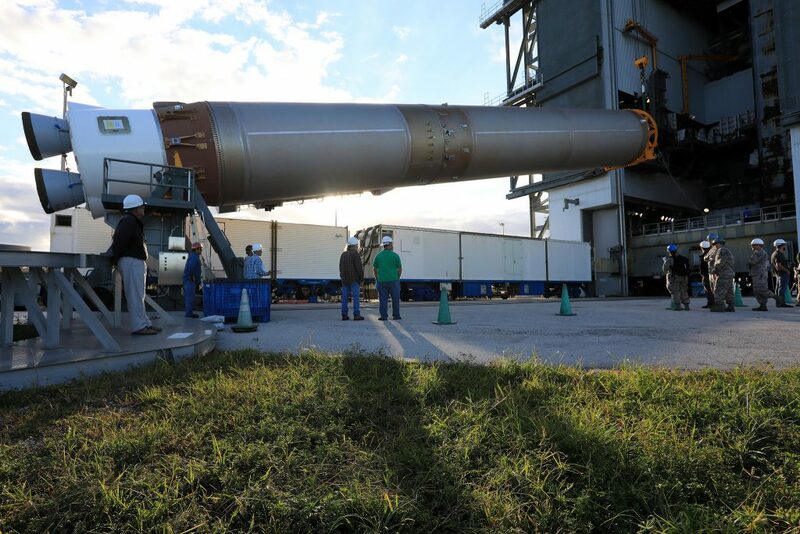 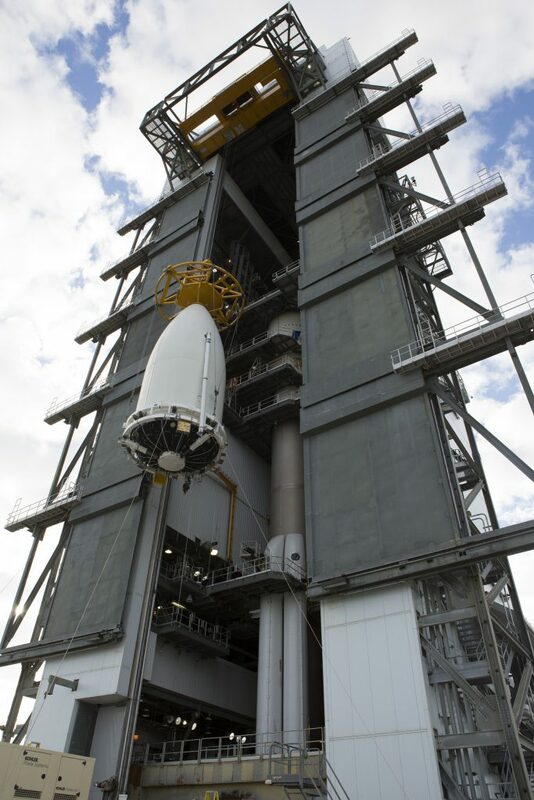 They will be ignited at liftoff with stage’s main engine to produce 2.4 million pounds of thrust. 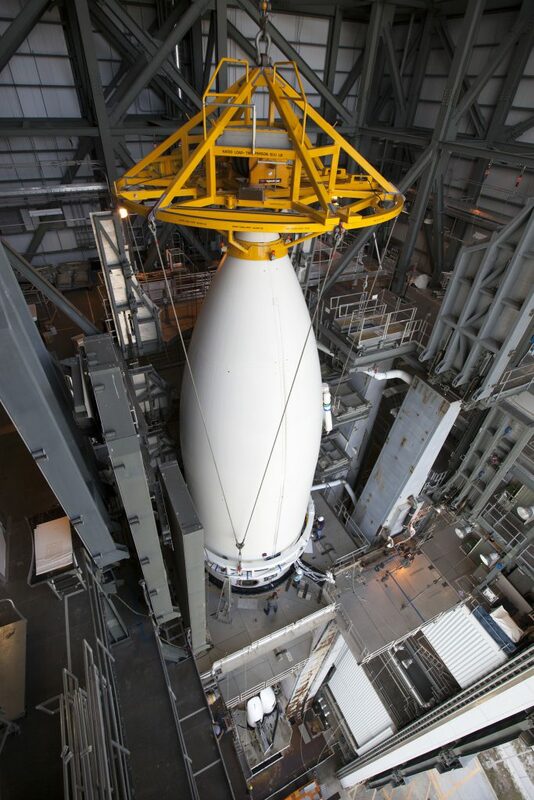 On Monday, Oct. 31, workers hoisted up the combined interstage, Centaur upper stage and lower half of the rocket’s nose cone in one pre-integrated stack. 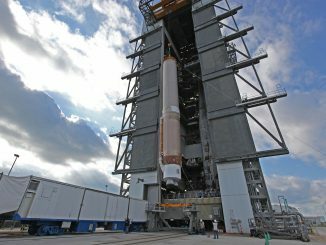 The Centaur will perform three separate burns during the launch to propel the 11,500-pound satellite into a customized orbit. 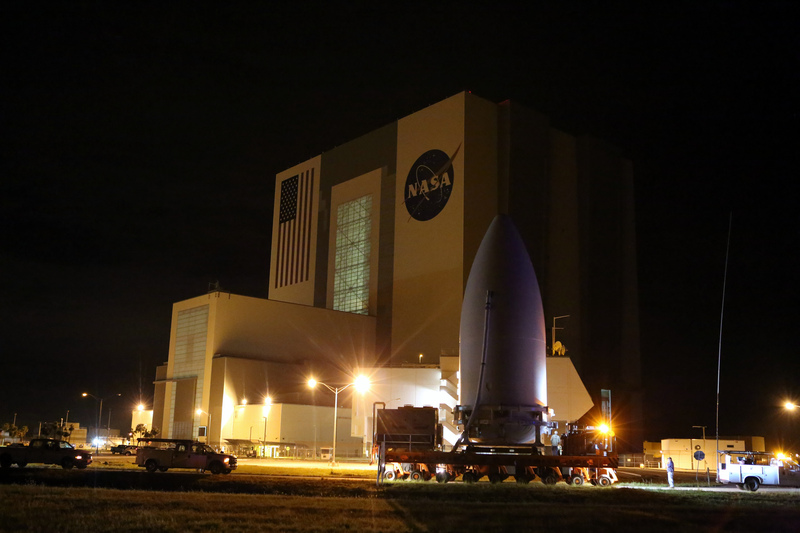 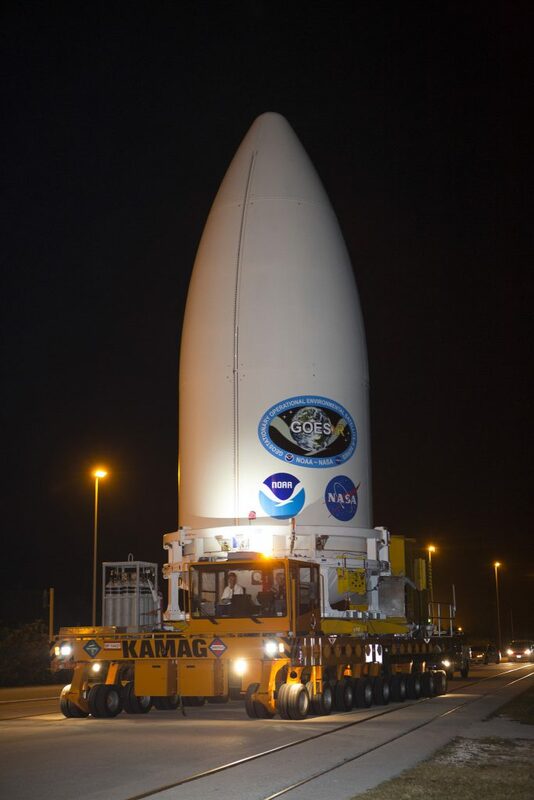 The vehicle underwent pre-flight testing before the attachment of the encapsulated payload on Nov. 9. 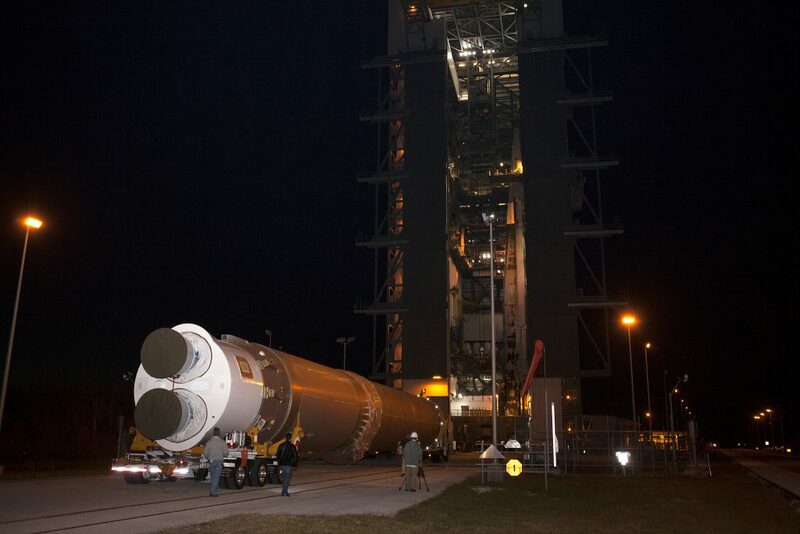 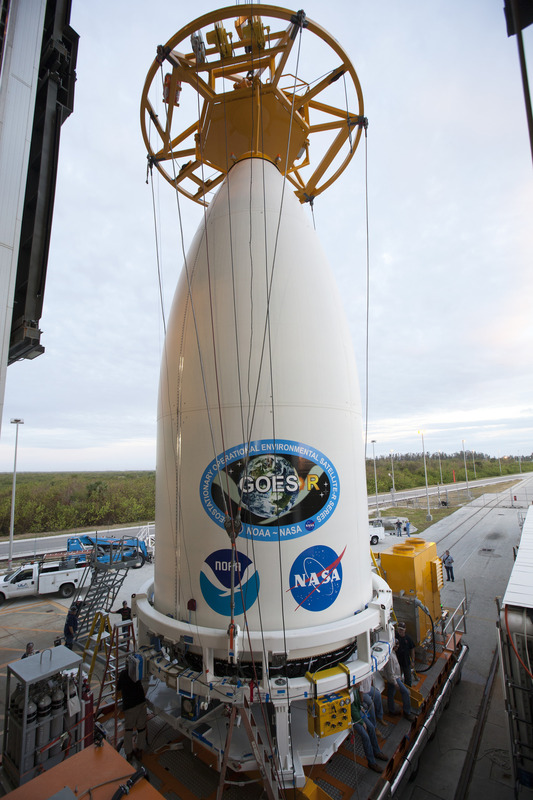 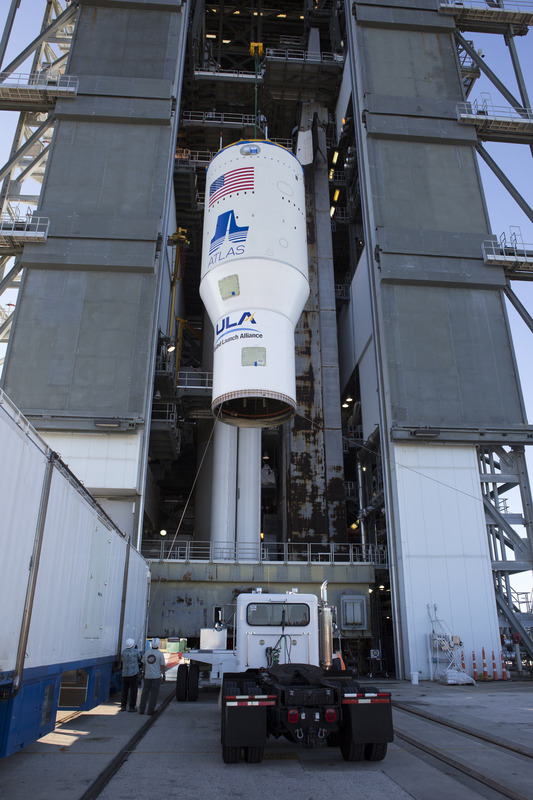 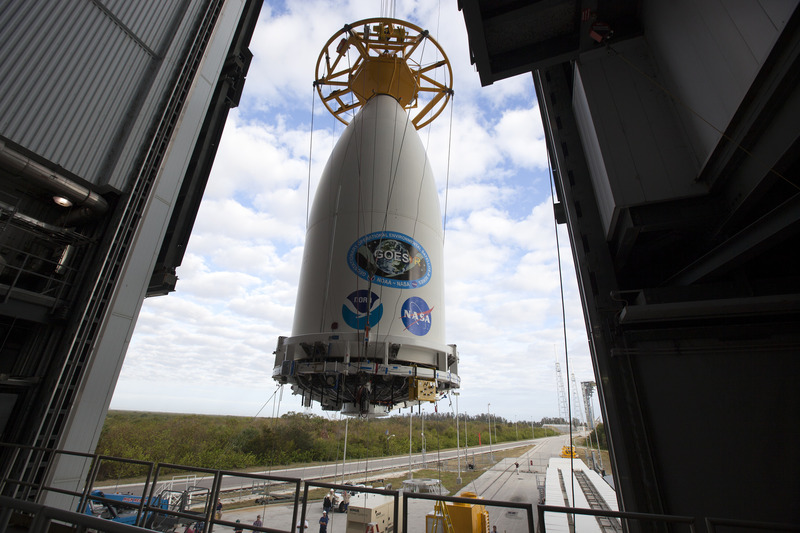 Saturday’s liftoff is planned for 5:42 p.m. EST (2242 GMT). 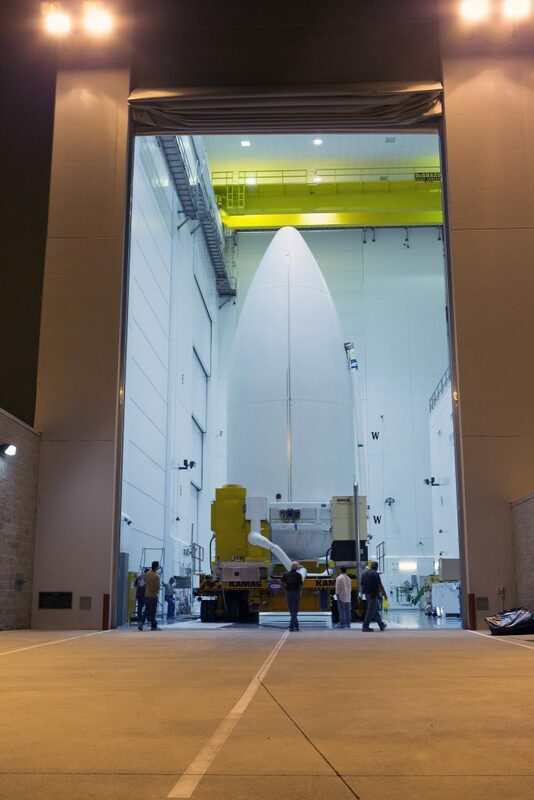 The launch window extends 60 minutes. GOES-R will operate in geosynchronous orbit 22,300 miles above Earth and observe the weather across the Western Hemisphere, particularly the United States. 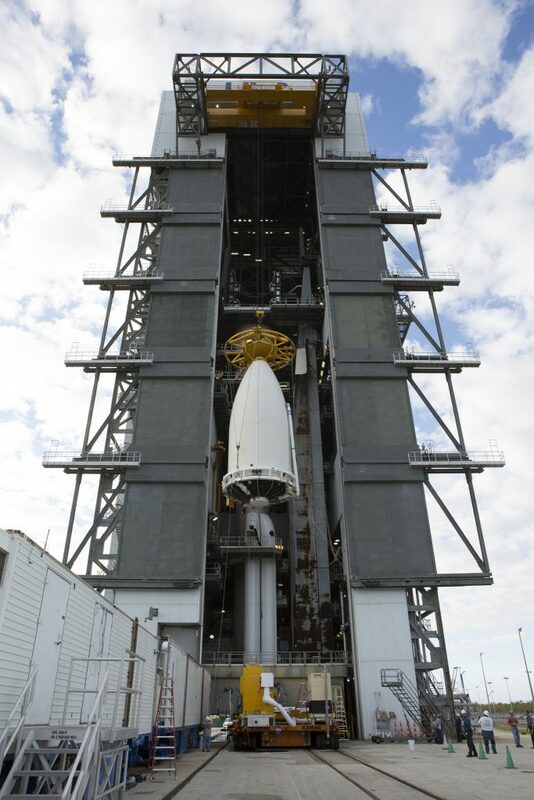 It is equipped with a highly sophisticated imager with unprecedented resolution and speed, a new lightning mapper and a suite of space weather instruments to monitor solar activity.